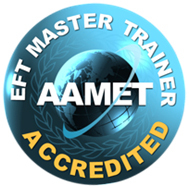 It is a requirement by the International Association for the Advanc​ement of Meridian Energy Techniques (AAMET) that all students from Practitioner Level upwards have Supervision with an AAMET approved supervisor. Pre-certification minimum 6 hours individually or in a group of maximum 8. Post-certification minimum 6 hours per anum individually or in a group of maximum 8. What is the goal of Supervision? The aim of supervision is to provide an attentive and supportive climate within which you can develop new options for managing yourself and your work with greater satisfaction and effectiveness. Supervision provides a forum for reflection, accountability and learning. Its aim is to progress excellent work and quality practice. Supervisors support and challenge supervisees to move beyond their current competencies into future possibilities. Supervision is personalised learning in that it focuses on the work of the supervisee; the learning style of the supervisee and customises the relationship and environment to suit the development of the practitioner. The ultimate benefit is for the client to receive the best possible service; the intermediary benefit is the growth and learning of supervisees, the immediate benefit is the ethical and professional monitoring of the work itself. Supervision is a working alliance between supervisor and supervisee in which the supervisee has time and space to reflect on herself or himself and their work by talking about that work and being given feedback, and where relevant, guidance, on it. Its purpose is to maximize her/his competence as well as to give her/him help and support. The same confidentiality applies to Supervision as it does to therapy. I look forward to hearing from you and presenting you with this amazing technique of EFT. or call (+44) 0776 996 4441 to make sure there is a place for you.